"I use steel hex web fencing for closing in my chicken coops. It's durable and last a long time. I would buy this again and advise my friends of this fence." Kathy G.
If you are wondering how to put up a poultry fence; then you have come to the right place! Chicken fence for sale from Deerbusters is designed to keep backyard chickens safely enclosed while keeping out wildlife predators, such as coyotes, that may try to harm the livestock. Deerbusters does not carry electric poultry fence; but we do offer electric poultry netting. Coyotes are crafty, motivated animals; and they will approach livestock by jumping or digging underneath a fence to attack chickens. This is why a 6' feet high poultry fence - complete with ground stakes and other accessories from Deerbusters - is recommended to protect chickens from coyotes. According to USDA-APHIS, livestock farmers account for 20 percent of wildlife-caused losses each year. This percentage can be reduced using steel hex web fencing. Our chickenwire fence is made from a 20-gauge galvanized steel hex web fence - this is a chew-proof fence! 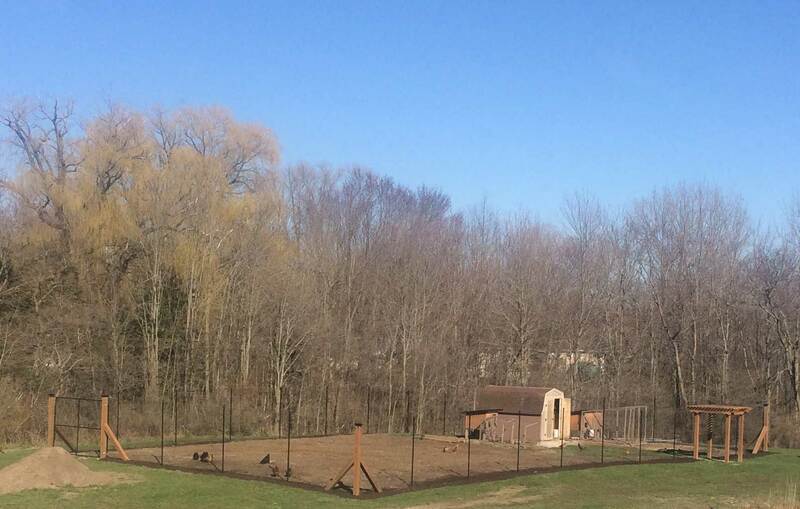 The black PVC-coating on the steel hex chicken fencing gives it a virtually invisible fence look from 20 feet away. Our long-lasting chicken wire fencing for garden lasts approximately 20 to 30 years after installation. For managing coyote damage, and to keep chickens safe, choose to install chicken fencing from Deerbusters.com this National Chicken Month!